Goenviro was created especially for nature and environment related websites. The design is modern, well-structured, it has numerous pages and layouts, great customization tools, and other helpful options. Ellenton is another template that was created primarily for environmental-related websites. The template includes a donation countdown, smooth transition effects, clear and modern design, a blog page and other helpful options. 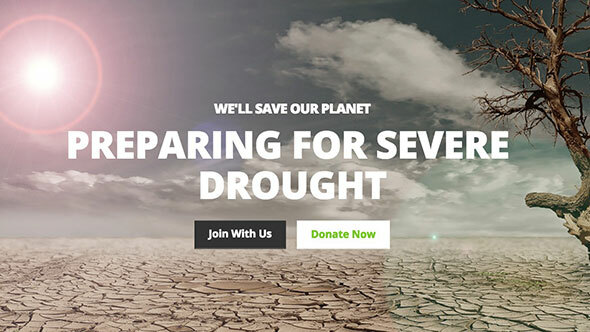 This website theme comes with a clean, modern and elegant design and it’s best suited for donations, charity, fundraising and nonprofit organizations. It has helpful customization tools, great support, it’s easy to optimize and the design is completely responsive. 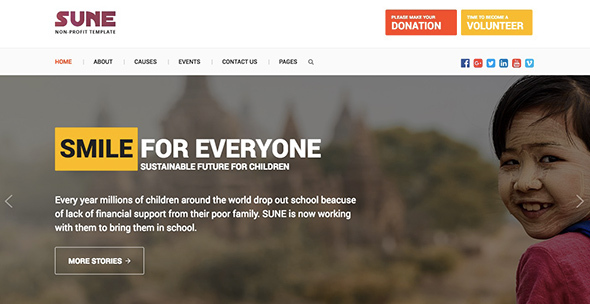 Sune is another charity and fundraising organization website and it comes with great optimization and customization tools, many helpful options, different layout styles, a responsive design and much more. If you’re searching for an environmental-related website, then Ecoisty is a perfect choice. The design is clean, modern, well organized, and has many optimization tools. Some other features include a blog page, a donation countdown, 2 homepage variations, smooth transition effects and a 100% responsive design that looks perfect on any device. Electoral was created especially for political campaigns websites and it comes with a clean and modern design. The template has impressive layout options, great customization tools, image and video galleries, a completely responsive design and many other great features. 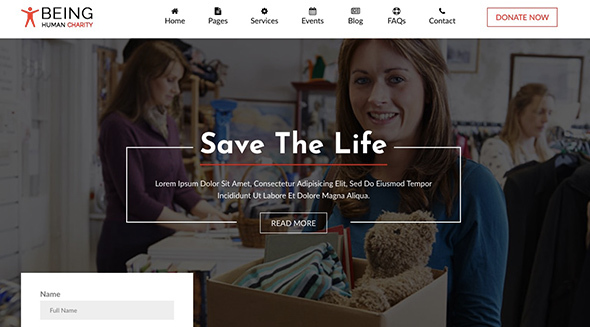 Lifeline 2 has a neat and modern design and it’s best suited for donations, charity, and nonprofit organization websites. The template comes with blog pages, large image galleries, an event page, 9 different homepage variations, 5 header styles, is WooCommerce ready, has great customization tools and many other great features. This template is best suited for charity and donations websites and it comes with a clean and modern design which is completely responsive, has great customization tools, great layout and section options, and much more. 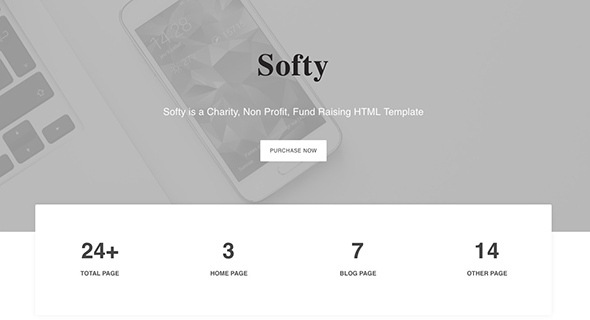 Softy was created especially for charity, fundraising and donation websites. It comes with a clean and minimalistic design, has great customization tools, many helpful options and it’s completely responsive on any device. 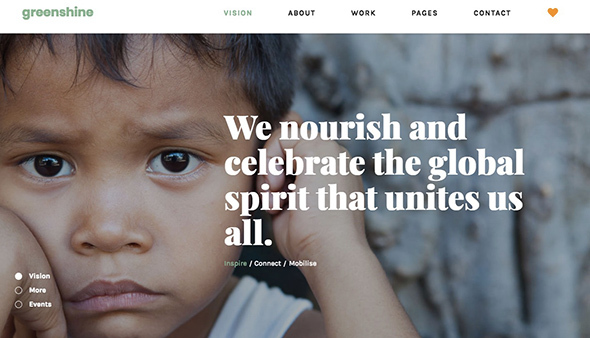 Being Human is another website template created for nonprofit and charity organizations websites. The template is retina ready, has an interesting image slider and a clean and modern design which is fully responsive and looks great on any device. 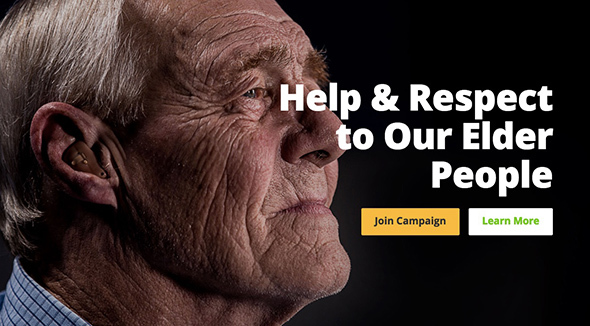 Donate was created for fundraising, charity and nonprofit organizations websites. It comes with great customization tools, an easy to install process, 6 index variants, 4 slider options, a contact form, social media integrations, and a fully responsive design. 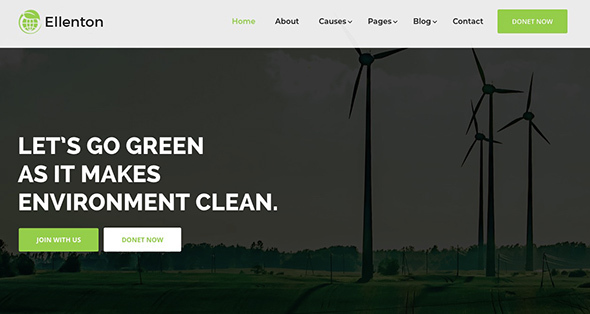 Enviro was created for environmental websites and it comes with a modern and neat design, fully responsive, 3 different homepage variations, a donation countdown, smooth transition effects, customization tools and a completely responsive design that looks great on any screen type. 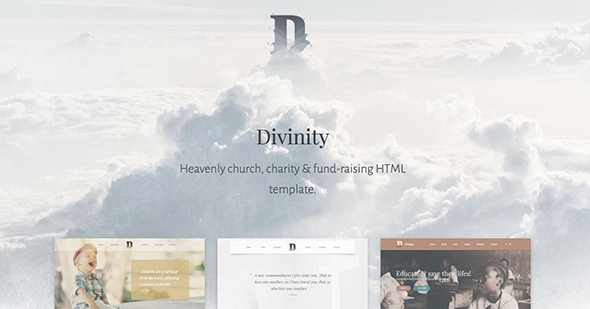 Divinity has an ultra minimalistic design, and it was built on Bootstrap 4 framework. It comes with more than 25 unique header types, 28 pages, great customization tools and other helpful options. The template is suitable for any church-related activities, charity, nonprofit organizations, and fundraising websites. 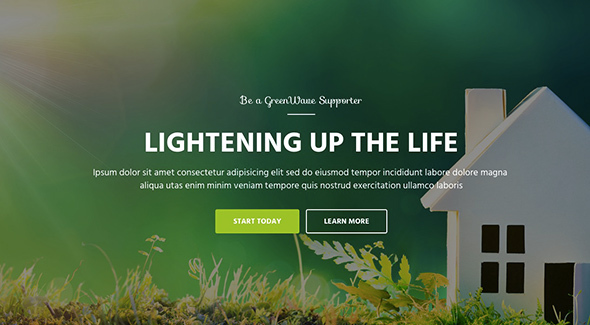 Green Shine is another responsive nonprofit website template created especially for donations, charity, and nonprofit organizations websites. The design is modern and clean, it comes with many customization tools, has a completely responsive design and works great on any device. 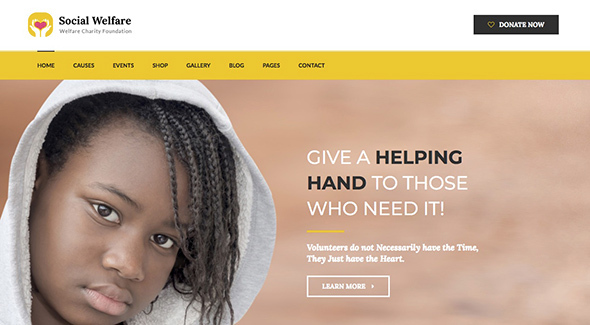 Generosity was created for charity and fundraising nonprofit organizations websites and it has a clean and modern look, the design is fully responsive and looks perfect on any device. 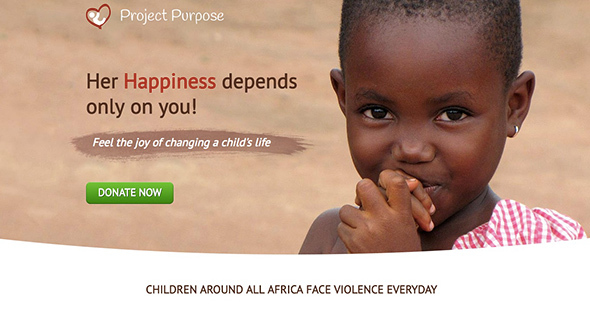 Wish was made for charity, fundraising and nonprofit organizations websites. The design is clean and modern, trustworthy and professional looking, it was built with the Bootstrap framework, it’s fully responsive, it comes with 2 unique homepage styles, has a great support and many other helpful tools. 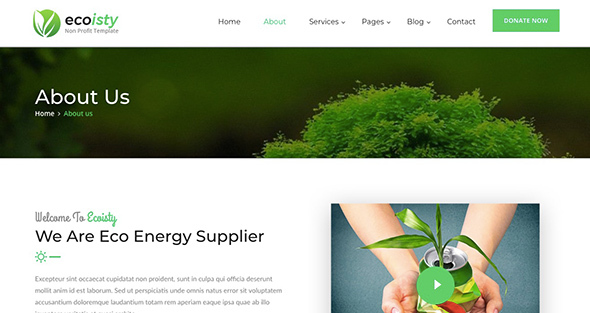 Green Wave is another website template dedicated to green business companies and environmental-related websites. It’s compatible with any mobile device, has 2 different homepage variations, an easy to install process, it’s highly customizable and has many other helpful options. 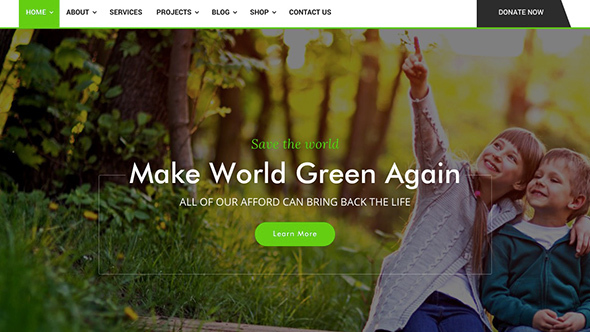 Maikop website template is dedicated to environmental-related websites. The design is modern and minimalistic, well structured, it has 2 different homepage variations, donation countdown plugin, smooth transition effect, great customization tools and much more. Virtue was built especially for fundraising websites. The design is clean and modern, appealing and trustworthy, easy to customize and completely responsive on any device. 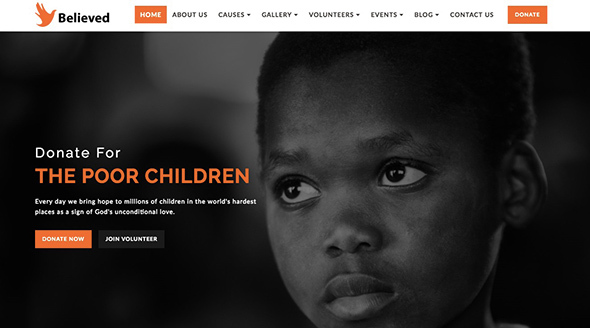 Hisham is another website template especially created for charity, non-profit and fundraising organizations. The design is modern and minimalistic, it comes in 2 versions, it has a powerful image slider, image, and audio background versions, great tools for optimization and customization and many other helpful features. 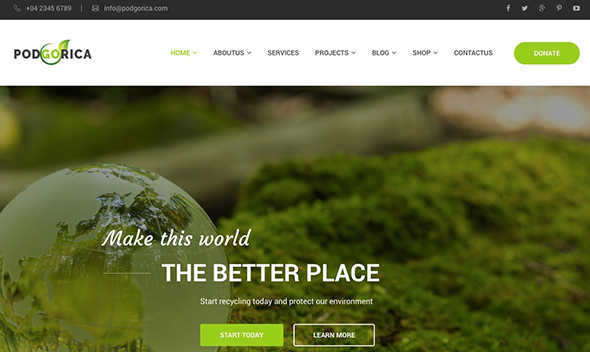 Podgorica is perfect for any environmental-related websites and it was created to look great on any mobile device. The design is clean and modern, easy to use and well-structured. It comes with 3 different homepage variations, an easy setup process, great customization tools and much more. 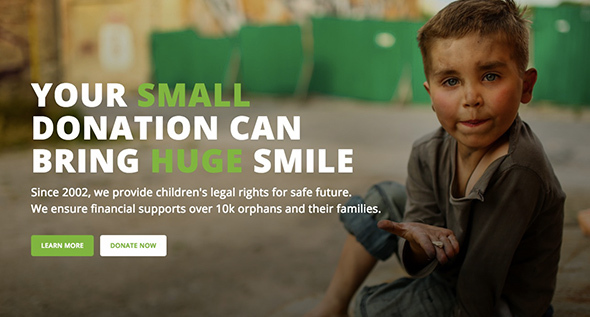 Social Welfare is another fundraising and charity website template and it comes with a completely responsive design that looks perfect on any mobile device, great customization tools, and many other helpful features. 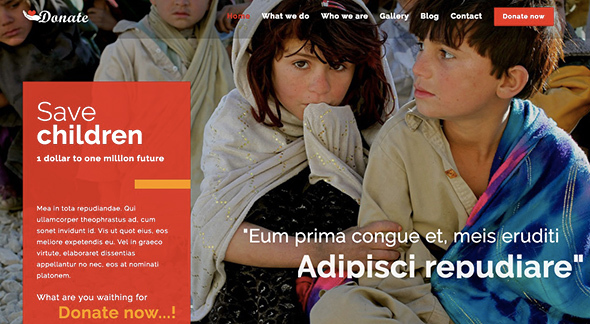 Gate Of Sun is another website template made for church-related websites. Some features include 7 different pages contained in the template, great customization tools, easy to install and use, and a responsive design. 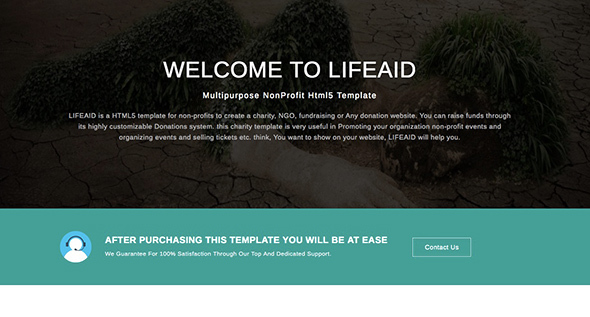 Life Aid is another template created especially for nonprofit organizations. It’s easy to install and use, it was built on Bootstrap 3+ and has many other helpful options. 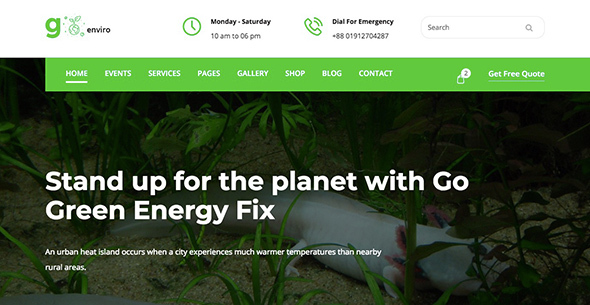 Awareness was created especially for climate change websites and it has a modern and minimalistic design. 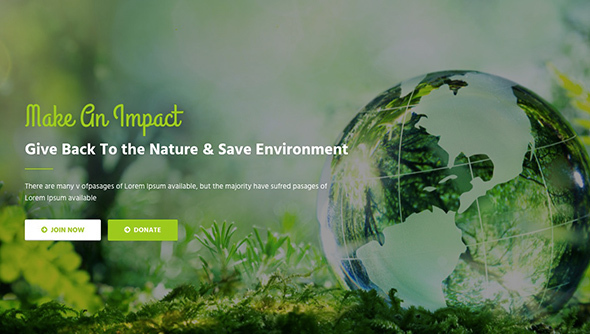 This theme is suited also for any other nonprofit environmental organizations, the design is fully responsive, it comes with different homepage layout variations, an easy to use admin panel, tools for customization and many other great features.